This is the second entry in a series that will be posted prior to each concert. This “Concert Preview” will provide background information on the pieces the BSO will perform next. Each Concert Preview is written by the BSO’s Artistic Director and Conductor, Manny Laureano. Look for the next Concert Preview on Tuesday, November 19. Alexander Borodin literally made the feat of composing his one-and-only opera, Prince Igor, his life’s work. It was begun in 1869 while he was in the middle of working on his now-famous Second Symphony in b minor. Whereas many composers have the luxury of a librettist to provide the text, he took it upon himself to also write the words, as well as the music. This took a lot of time and research on Borodin’s part. He literally bounced back and forth between work on his symphony and the opera. With his symphony long-since finished and premiered he continued to add to the opera, revise it, and add new touches as his compositional technique evolved. Sadly, he never got to see the premiere of his magnum opus as he succumbed to illnesses that eventually took his life. The overture that is heard on this concert was assembled by his colleague, Alexander Glazunov, based on the themes and melodies from the opera. 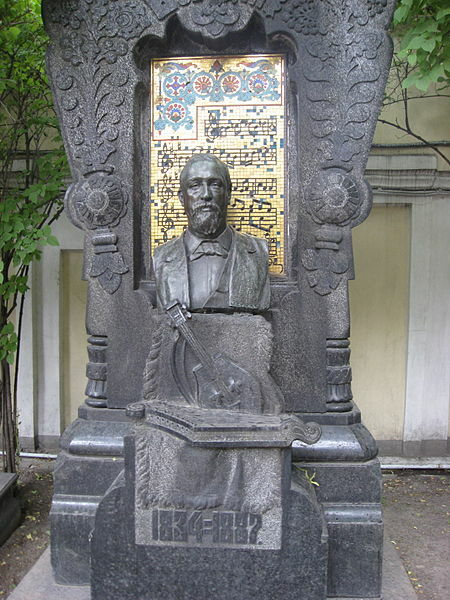 Nikolai Rimsky-Korsakov also lent a hand in finishing the opera based on notes and sketches left by the now-departed Borodin. Ironically, after all the work and collaborations, the premiere was eclipsed by the premiere of another opera by another famous son of Russia, Peter Ilyich Tchaikovsky. The opera was Pique Dame or The Queen of Spades. One of the difficulties Borodin had with writing the opera was the then-fascination with the recitative style of writing. Borodin was far more interested in writing actual songs rather than the extended sing/talk of the rectitative that seemed to be in fashion then. “I’m drawn to cantilena, not to recitative… the voices must be foremost, the orchestra secondary.” He held to Liszt’s advice and wrote an opera that is steeped in rich melodies and flowing harmonies. Please join us for this concert, “Sit Right Back and You’ll Hear a Tale,” on Sunday, November 24 at 3 p.m. at Immanuel Lutheran Church. To purchase tickets in advance, please visit our online box office here. Tickets are always available at the door.